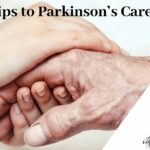 Are you suffering from Parkinson disease? Are you considering Deep Brain Stimulation surgery? Do you want to know everything about the treatment of DBS surgery in detail so that you can make the right decision? If you have answered ‘yes’ to all those three questions mentioned above, you are undoubtedly in the perfect place to be. Parkinson’s disease is now common among men and women in America; more common amongst the men! A lot of people take the DBS (Deep Brain Stimulation) surgery. 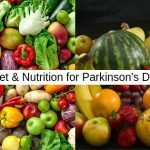 However, if you are considering it, you must know that it does not cure the disease; it just makes you relieve the motor (tremor and rigidity) as well as non-motor symptoms (mood and energy level) of the Parkinson’s disease. The DBS (Deep Brain Stimulation) surgery is a therapy wherein a wire known as ‘lead’ is inserted into a brain. It has got four electrodes to supply electric current to four points of your brain. 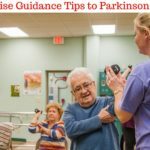 DBS can help reduce the symptoms of tremor, slowness, stiffness, and walking problems caused by Parkinson’s disease, dystonia, or essential tremor. Successful DBS allows people to potentially reduce their medications and improve their quality of life. 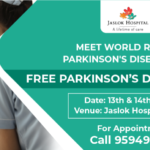 You must first visit a neurologist or the movement disorder specialist who has specialized in the Parkinson’s disease and other movement disorders. Getting prepared mentally for investing a large amount of time, money, energy and efforts. You might have to travel a lot and go to different places to consult various experts. Making a list of questions about the Deep Brain Stimulation surgery that you have to ask the healthcare professionals and the neurologists & Neurosurgeon in order to clear your doubts. that you cannot afford to miss to ask your doctor. 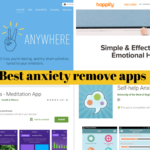 Is my body ready to take the therapy? What do I have to do before the surgery? What special care needs to be taken post-treatment? What are the risks and complications involved in it? Will I be able to swim and exercise after the treatment? Who is going to give me the treatment? Which things will I not be able to do after I take this treatment? How much will the entire treatment cost to me? Once you ask these questions, you will be able to decide in a better way; whether to take the deep brain stimulation surgery or not! Parkinson’s disease: tremor, rigidity, and slowness of movement caused by the death of dopamine which producing nerve cells responsible for relaying messages that control body movement. Essential tremor: involuntary tremors of the hands and arms, occurring both at rest and during purposeful movement. Dystonia: involuntary movements and prolonged muscle contraction, resulting in twisting or writhing body motions, abnormal posture, tremor. May involve the entire body, or only an isolated area.